The Company: RAWIE - BARRIER SYSTEMS, BUFFER STOPS, ACCESS SYSTEMS. MORE THAN 50 PATENTS, MORE THAN 130 YEARS OF EXPERIENCE AND MORE THAN 5,000 CUSTOMERS WORLDWIDE. What would a train station be without parting in sorrow and the joy of meeting again? Without the large number of commuters and business travellers and all the globetrotters and holidaymakers that are looking forward to well-earned time off? And a train station would be unthinkable without Rawie? Buffer stops and track safety systems that ensure even greater safety in rail traffic exist in almost all countries of the world, from Cairo to Dubai, Zurich to The Hague, Shanghai to San Francisco. The founder of the company, Franz Rawie, developed the buffer stop more than hundred years ago, he thereby setting the points for greater safety in rail traffic. What started as a single patent, developed into a large number of patents and one friction buffer stop has turned into a huge number of references in the meantime. Each of the buffer stops leaves our premises as a customised item, no matter whether fixed or braking, foldable or stationary. After all, the Shinkansen place demands on a braking system that differ from those required for the trams in Cologne! 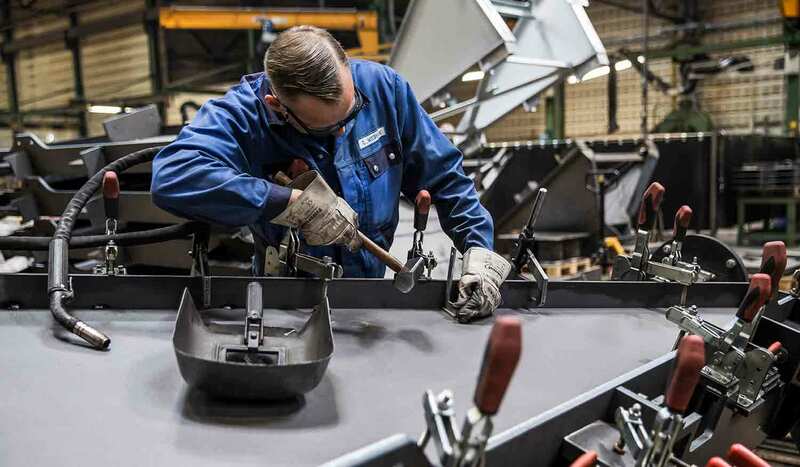 Our engineers and designers always develop the most safe product for the most diverse requirements of a mainline railway, an underground railway or a tram. It is still the case today that the railway technology plays one of the two main roles at our company with the development, production and installation of dynamic track safety systems. As rail traffic has always been the primary area of application for Rawie products, barrier and access systems form a core competence in our company, with which we are also enjoying success far across the state borders in the meantime. Whether the Elbtunnel or a private car park: our barriers that are available in the most diverse designs are able to meet even the most different requirements. Equipped with a terminal, they enable access and exit roads to be controlled professionally – with barriers that are of a quality that set standards. We are especially proud of our numerous special solutions: our horizontal barriers with lifting technology for example, make Europe´s motorway tunnels safer – we are the clear market leader for traffic barriers in Germany! Rawie barriers literally stand for quality that nobody can get past. The fifth generation is now at the helm of the Rawie family in the person of Carla Editha Högermann more than one hundred years after the invention of the friction buffer stop. She is not directly related to Franz Rawie or the Fründ family but her mother Renate Högermann also saw the Rawies as being her chosen family. Family values and company traditions form the basis of our cooperation so to speak. We currently have around 60 employees at our headquarters in Osnabrück and with more than 40 representatives abroad, the Rawie corporate family has a global presence in its market.